This transcript has been edited for clarity and style. WK INTERACT: "So my name is WK Interact. I’m a French-New Yorker street artist, photographer – yeah, a lot of things together." "It is a small sort of a graphic design on a small scale of the page. 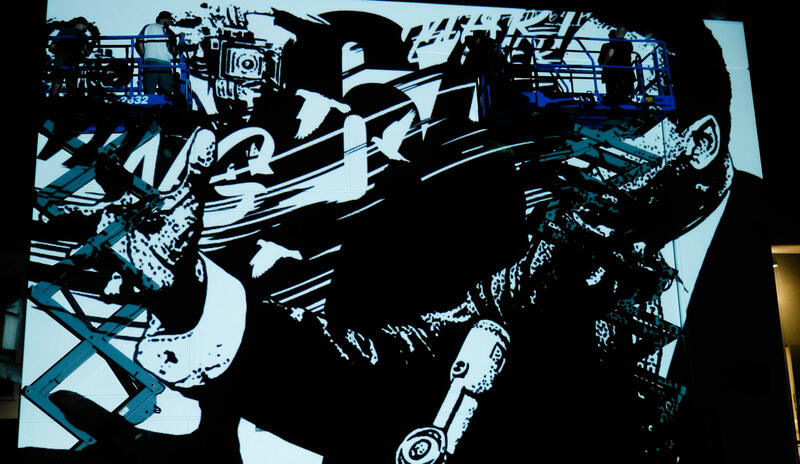 And then when the project is done I project this image directly on the wall. So I take my work, which is very bold, very graphic, very simple – and I will say very fun, very pop art. And at the same time I try to connect the young the middle and the old generation together, and when I get that I end up to feel like okay *smack* I did the right things." 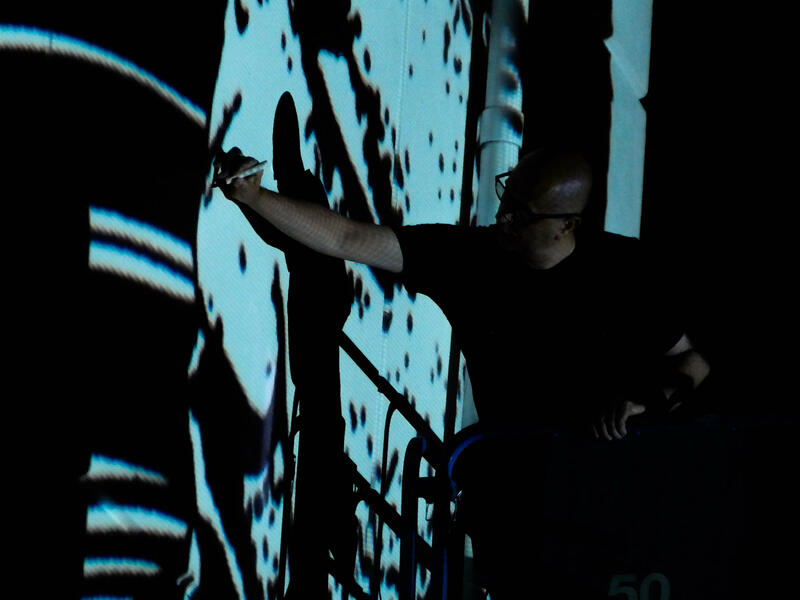 WK and several other volunteers spent several hours outlining the mural from a projection of his print. They began working just after midnight. "The thing is, first, it's not just the wall – it is a church. And it's an incredible church inside and outside, is that it’s got his own character and this is what I really like it. And then the mural, it's on the back of the church. It's where no one really care and nobody pay attention, and that's also why I liked it: is his life to a place it was not supposed to be." 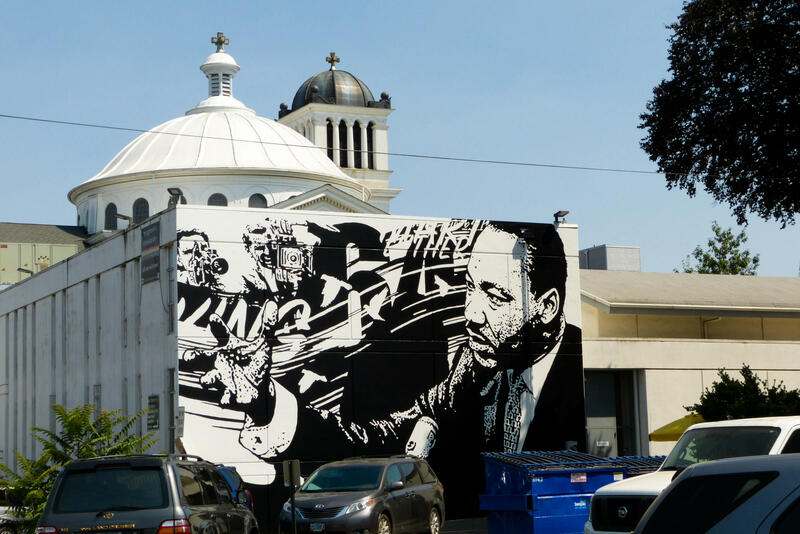 "You really need to look at a distance, because when you be a little bit like a hundred feet far from the wall, you suddenly realize it’s Martin Luther King connected to the whole church, and that's the beauty of it. And then you have his name, but he's not so obvious, so you actually have to figure out: where is his name? 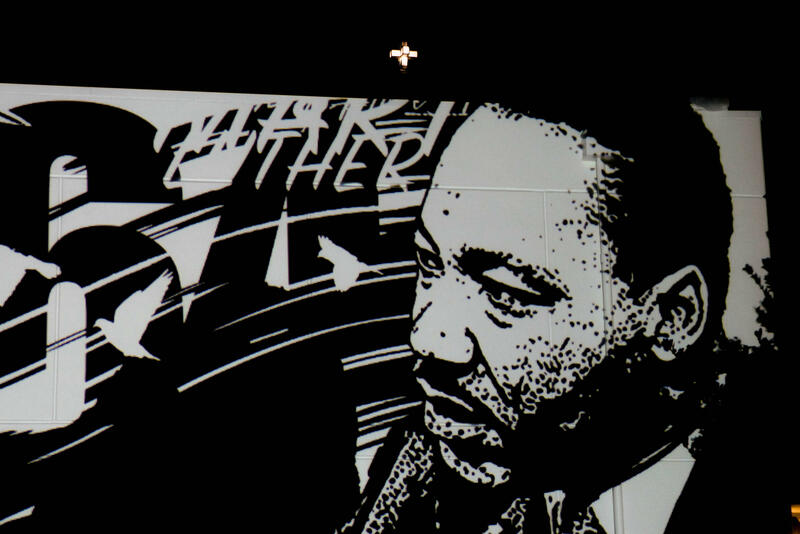 To one side you have 'King,' on the other one year, 'Martin Luther King.' And then I wanted to have him actually not necessarily looking at you; having the factors is looking as he is having a visionary thought." "Because the interesting part to create work this way, it's not necessary for pleasing the beauty, you're creating some things I really like. It's really for you guys, it's not necessary to know who did it, but it's just your embrace each individual person who live in Eugene and connect it somehow, and just feel good to who you are. Even like so many people telling me, as you're not a big city, it's not a matter of quantity – it's a matter quality, and that's what I feel in your town." This is what the mural looked like after the outlining. The "X" demarcates areas to be painted black later. "You know when, and I'm very touched, when we did this meeting at the church yesterday, I had a chance to meet a group of people of… it was it was like 45-60 people, and most of them was the age of my parents and my grandparents." "And you know I… everything was nice, and I chat with them, and I allowed them to ask me question, and it’s very difficult to connect to this… I will say this age, because they also have a past and they also have a story, and we need to be aware of that." WK says the mural can be truly appreciated when seen in contrast with the rest of the church. "Because it's easy to catch the young crowd and just say, ‘what do you think?’ ‘Oh yeah, I like it!’ But to impress the older person and just say what do you think? – they didn't just come to just hugging me and telling me they like me, they sincerely liked it. And that made me… tears, I literally felt deeply inside, and I was extremely touched. And I was not expecting anything like that." WK Interact is a world-renown artist producing a mural in Eugene ahead of the 2021 IAAF World Track Championships. 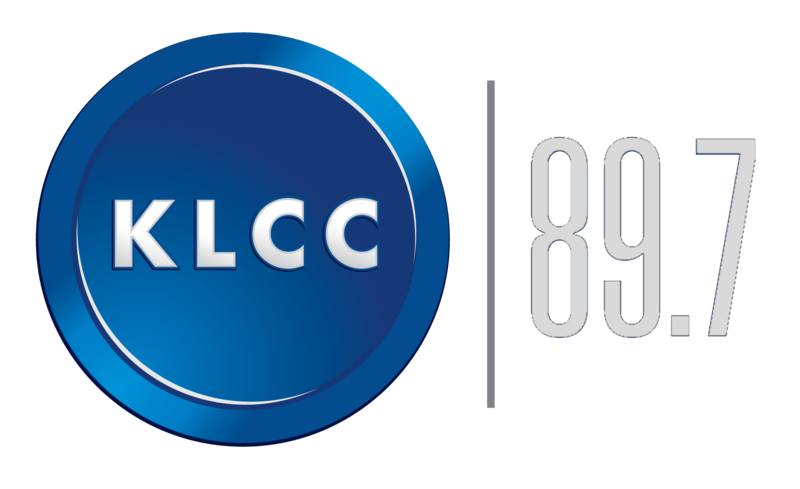 This audio postcard was produced by KLCC's Alec Cowan. 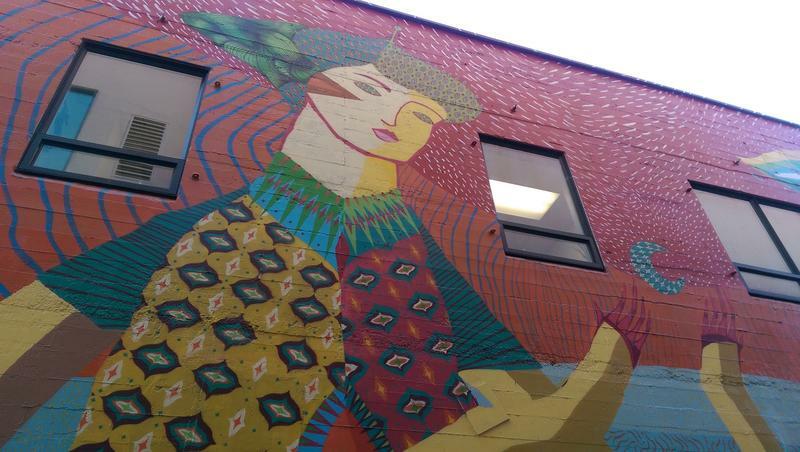 It’s part of a series on the 20x21 Eugene Mural Project. Update: this article incorrectly named the church as "First Presbyterian Church." It has been updated to First Christian Church. 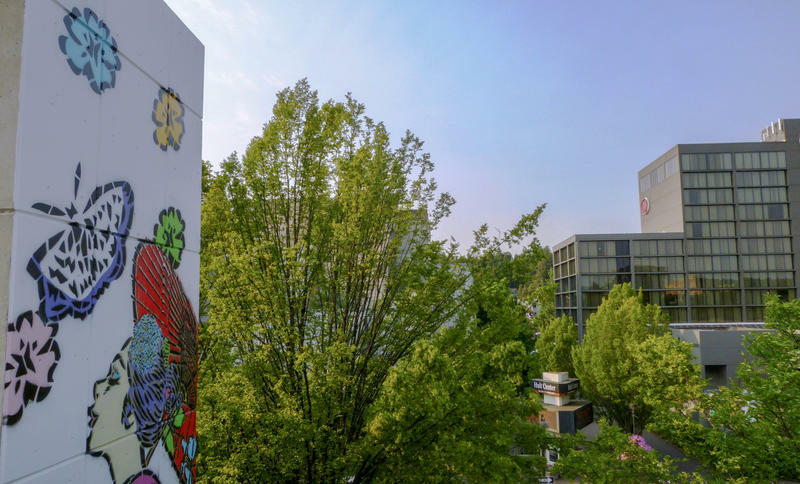 The City of Eugene is commissioning 20 murals to be painted throughout the city by 2021 in time for the IAAF World Track & Field Championships at Hayward Field. Next week, they’ll host 8 artists from around the world to paint 7 murals in 7 days.